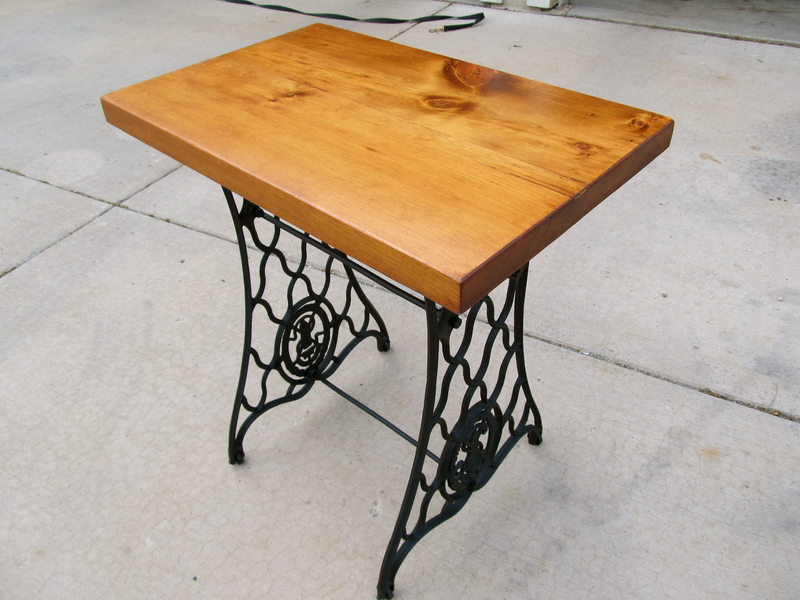 This entry was posted in Uncategorized and tagged End Table, Sewing Machine, table on January 13, 2013 by antiquarianobjects. This entry was posted in Uncategorized and tagged cart, island, Ktichen, work space on January 13, 2013 by antiquarianobjects. 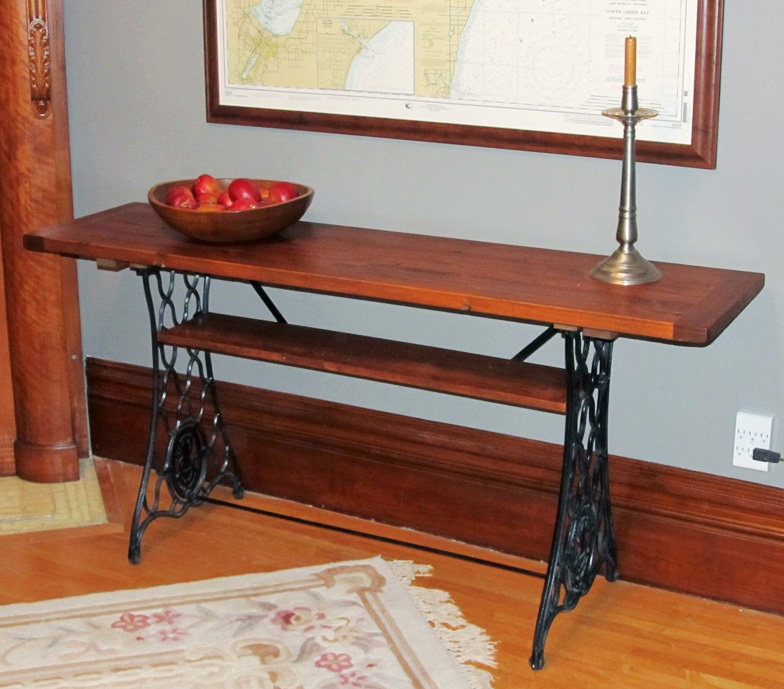 This entry was posted in Uncategorized and tagged End Table, Sewing Machine, table on January 3, 2013 by antiquarianobjects. 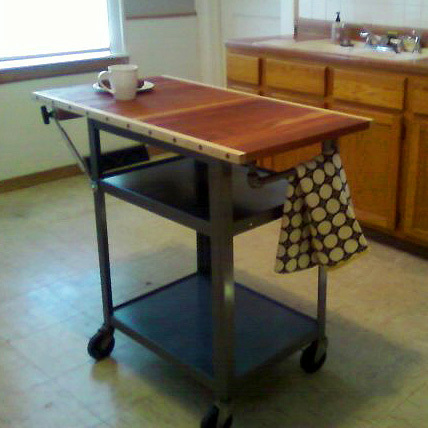 This antique 3″ thick butcher block comes from a bakery and the legs are from an old farm table. 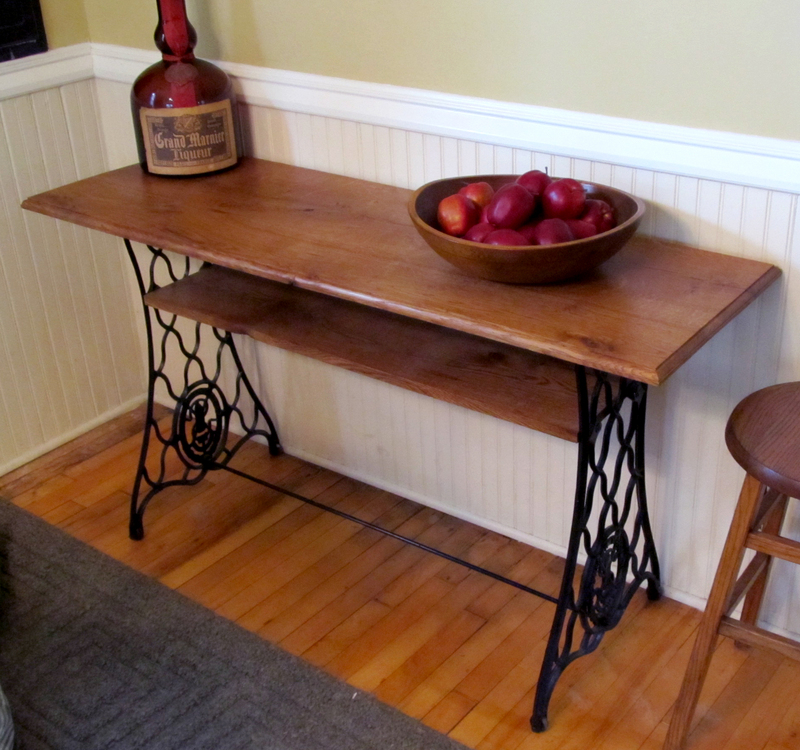 It would be perfect for a kitchen that needs some extra work space or as a display table in a living room or entry way. It measures 6′ long x 2’6″ wide x 2’8″ high. This entry was posted in Uncategorized and tagged butcher block, island, kitchen, table on January 1, 2013 by antiquarianobjects. This island was built from an antique kitchen cabinet that was refinished and painted white. There is a new pine counter top with a walnut stain and satin poly finish that overhangs for seating with bar stools. This entry was posted in Uncategorized on January 1, 2013 by antiquarianobjects. Hi, my name is Mary, and Antiquarian is a way for me to start sharing my love for restoring antiques. I have been restoring vintage objects and furniture for over 30 years. My most recent challenge has been restoring my home, a 100 year-old Victorian, with my husband, Todd.